A software update is now available that introduces new features and adjustments to enhance the overall experience. Please start the game while your Wii U console is connected to the internet to update the software. The software version after this update will be 1.0.6. By visiting Nintendo eShop, it's possible to purchase add-on content such as Mii Fighter outfits and additional fighters. It's also possible to send snapshots, replays, Mii Fighters and custom stages to your friends. When connecting to the internet from Super Smash Bros. for Wii U, the game will check for new data. Downloading received data may take some time. If you don't download data within 30 days, it will be deleted from the server. Snapshots will be posted in the Snapshot Sharing Community, and custom stages will be posted in the Stage Sharing Community. 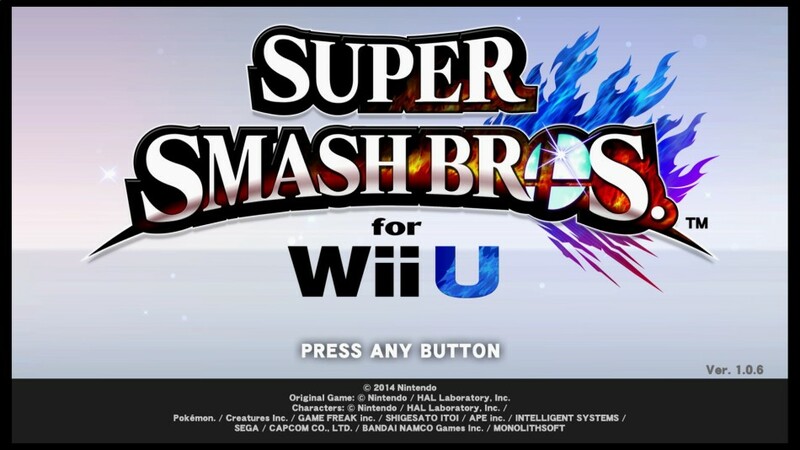 When viewing a stage screenshot uploaded to this community on your Wii U console, you can select the Start icon to jump to the Super Smash Bros. for Wii U software. From there, you can download the actual stage to your console. Please note: a minimum of 1.3 GB available storage is required to perform this software update. Depending on the Wii U hardware pack you own and your use of it, an additional storage device may be required. Please visit our Storage section for details about additional storage devices.